Nikaya is a word of Pali origin and Sanskrit usage which was adopted into English in reference to Buddhist texts. Regarding the Buddhist canon (the Sutta Pitaka in particular) the meaning of the term is equivalent to the English «volume» or «tome» — although the works in question are so voluminous that few unabridged editions can fit an entire Nikaya into a single volume. 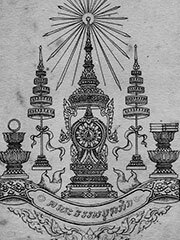 The word has other usages: in particular, in the southeast Asian Theravada school, it is the polite term for monastic orders, divisions among monks, or sects. An equivalent used in China is Agama, and the Sutta Pitaka of the Pali Canon is sometimes referred to as «the Agamas» by Mahayana Buddhists or as «the Nikayas» in the company of Theravada Buddhists.